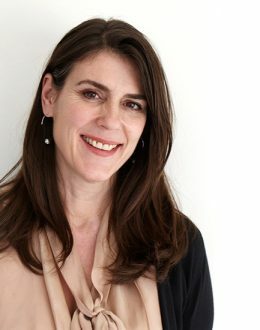 Herminia Ibarra is the Cora Chaired Professor of Leadership and Learning, Professor of Organizational Behavior, and Area Chair for the Organizational Behavior Department at INSEAD. She received her M.A. and Ph.D. from Yale University, where she was a National Science Fellow. Prior to joining INSEAD she served on the Harvard Business School faculty for thirteen years. She is a member of the World Economic Forum Global Agenda Councils and Chair of the Visiting Committee of the Harvard Business School. Thinkers 50 placed Ibarra among the most influential business thinker in the world. A native of Cuba, Professor Ibarra is an expert on professional and leadership development. Her book Working Identity: Unconventional Strategies for Reinventing Your Career (Harvard Business School Press, 2003) documents how people reinvent themselves at work. Her numerous articles on leadership, networking, career development, women’s careers and professional identity are published in leading journals including the Harvard Business Review, Administrative Science Quarterly, Academy of Management Review, Academy of Management Journal, and Organization Science. Her research has been profiled in a wide range of media including the New York Times, Wall Street Journal, Financial Times and The Economist. Professor Ibarra directs The Leadership Transition, an executive program designed for managers moving into broader leadership roles. She teaches in numerous INSEAD programs and consults internationally on talent management, leadership development, and women’s careers.